Hotel Rahwaas offers some colorful rooms with a number of facilities. The rooms are well-furnished and are very spacious. Large windows with good quality curtains have been provided in each room. The rooms are well-lit and the most notable addition to each room is the plush sofa set which makes for the extra seating space. The wood work is used for the interior decor. The additional features provided by the hotel are free Wi-Fi, and parking provisions. 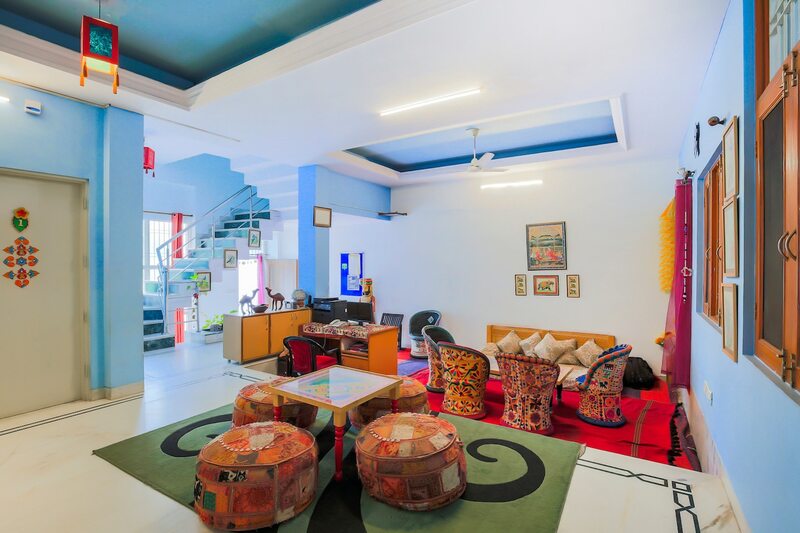 There is a common seating area which has been decorated with a lot of colors and vibrant patterns. This lounge can be used by the guests to relax and rejuvenate after a tough day.